With our years of experience & in-depth knowledge in this field, we are engaged in offering a quality-assured array of Brass Aldrop. 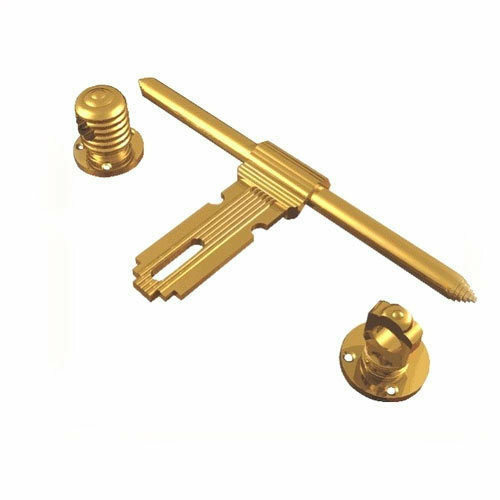 Incepted in the year 1997, at Jamnagar (Gujarat, India), we “Aum Metal Products” are a Sole Proprietorship firm that is the distinguished manufacturer of high-quality and durable range of Brass Hinges, Brass Brackets, Brass Tower Bolt, Brass Baby Latch, Brass Aldrop, Brass Mirror Cap, etc. Offered assortment is immensely appreciated for features like durability, easy installation, perfect strength, sturdiness, corrosion resistance and immaculate finish. Under the supervision of “Mr. Deepak Pansuriya" (Proprietor), we have gained a reputed name in this domain.